Product prices and availability are accurate as of 2019-01-20 23:29:45 EST and are subject to change. Any price and availability information displayed on http://www.amazon.com/ at the time of purchase will apply to the purchase of this product. 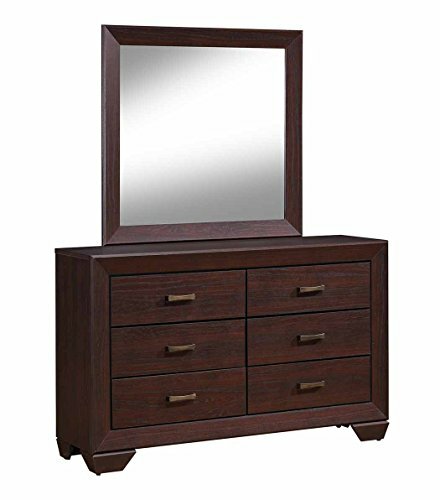 This Coaster Fenbrook Transitional Dark Cocoa Rectangular Dresser Mirror measures 41" Length x 1" Width x 39" Height. This dresser mirror from the Fenbrook Collection is a sophisticated piece to add to your bedroom collection. This dresser mirror features a frame in a dark cocoa finish. 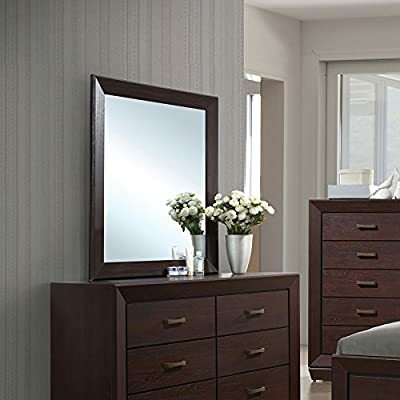 Pair this rectangular mirror with its complementing dresser from the Fenbrook Collection for a cohesive look.